Globecast delivers seven new Arabic-language channels. Los Angeles, May 2018: Globecast has partnered with Hotwire Communications to deliver seven new Arabic language channels. The channels include Alaraby, Dubai TV, Sama Dubai, Kuwait TV, Panorama Films, Panorama Drama and Sky News Arabia. Based in Fort Lauderdale, FL, Hotwire is the nation’s leading fiber optics communications provider, utilizing its all-fiber network to deliver best-in-class services to residential, commercial and government customers. 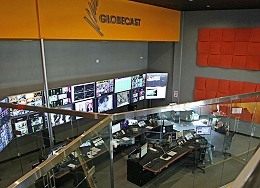 Leveraging its worldwide satellite, fiber and IP network, Globecast is aggregating the channels at its Culver City, CA facility and delivering them directly to Hotwire’s headend in Fort Lauderdale, FL. The project expands Globecast Americas’ overall channel portfolio and increases its line-up of international content to 29 channels from around the world.